As the 200th anniversary of the official abolition of the trans-Atlantic slave trade approaches, James Walvin suggests that the economic viability of newly-colonised parts of North America was due to the use of slaves working on plantations. Indigenous “Indians” lacked the immunity to survive the infections brought by the white colonisers, and those who did, refused to work for the invaders of their lands. 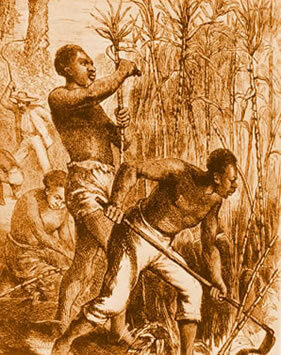 Slave labour led to the success of early plantations in growing huge quantities of sugar and tobacco, which led to an ever-increasing demand in Europe, fuelling the expansion of the trans-Atlantic slave trade. The brutality which denied the human rights of African slaves, became even worse as Britain emerged as the most “efficient” European competitor, by packing human bodies in layers in the ships’ holds at times of high demand. Although the English balked at the cruelty of this trade, its products were at the centre of economic life. Britain and America’s wealth and positions of power in the modern world, are, Walvin suggests, founded on the unpaid labour of slaves. Other authors have shown how the triangular trade between Africa, the Caribbean and Britain created surplus funds which in turn fuelled the industrial revolution and the emergence of capitalist industry. Even the moral righteousness of abolitionists is tempered by economic pragmatism. A letter from a Quaker campaigner to abolitionist leader William Wilberforce speaks of the lack of economic viability of the slave trade in the 19th century, when there are cheaper alternative sources of sugar cane coming on the market from Asia. He makes it clear that he is only talking about the trade in slaves, not slavery itself, which is very efficient because the offspring multiply the free workforce! The debate about the ending of British involvement in the trade continued for another 30 years until the legality of owning slaves was abolished by a further Act of Parliament. Reluctant owners were persuaded to use “apprenticeship” as a guise for continuing to use slaves over the age of six years, and vast compensation funds amounting to £20 million were whipped up, not for the slaves and their descendants for the degrading exploitation they had endured, but for the former owners. This unpaid debt is still an issue that needs acknowledgement, as well as an apology for treating Africans as chattels rather than fellow human beings. The long-term damage to Africa includes a massive loss of population and distortion of social structures to fuel the trade over the course of more than four centuries. More insidious was their loss of dignity as they were systematically dehumanised to justify their treatment by the European imperialists. The book is organised on two parallel levels: the one narrating the history of the slave trade in outline, with chapters on each phase. 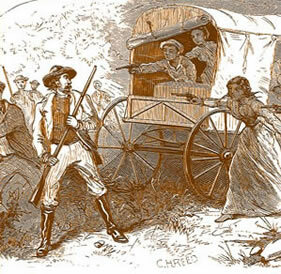 The central chapters deal with the appalling conditions on the slave ships; followed by those on the sugar and tobacco plantations, where the survivors of the trans-Atlantic crossing were destined to work; the rebellions and early moves towards abolition; and the abolition of the trade in 1807, 30 years before slavery itself was outlawed. The narrative is followed by journal entries from traders, whose accounts describe the brutal conditions without questioning them. Intermingled with this he uses supporting evidence from contemporary documents written by the “actors” themselves. Whilst this authenticates the story, it does make it somewhat disjointed, as interesting issues are raised, but not immediately followed up. At the outset, Walvin raises questions about the ubiquitous nature of slavery in Greece, Rome, Egypt and Medieval Europe, as well as more recent examples in Nazi Germany and Stalinist Russia. He explores the root causes of slavery, and its tendency to seek justification by devaluing or demonising “the other”, often on religious grounds as outsiders, “heathen” (by Christians) or “non-believer” (in the case of Islam). Perhaps the colour difference only later became a symbol of inferiority. One Muslim writer expresses his discomfort at the enslavement of fellow-Muslims from the Sudan, just because they happen to be black. Walvin’s short history is not only informative but stimulating in the current climate of the anniversary. But although he focuses on Britain’s central role in the world’s most brutal example of slavery, little time is spent discussing its implications for people living in the 21st century. There is no mention of the new world of global capitalism where people trafficking is the new form of slavery.